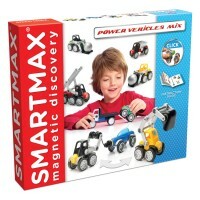 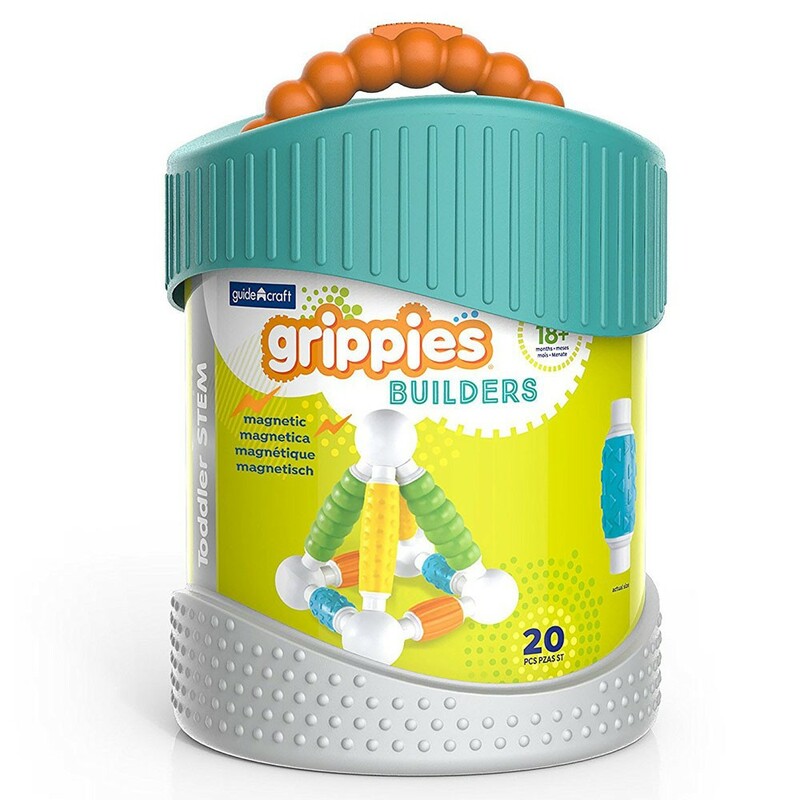 This 20 magnetic pieces Better Builders Grippies set offers the first STEM and sensory building system for toddlers. 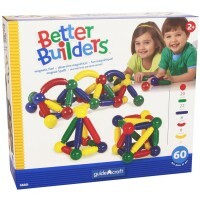 Better Builders construction sets are always among toddler toys bestsellers. 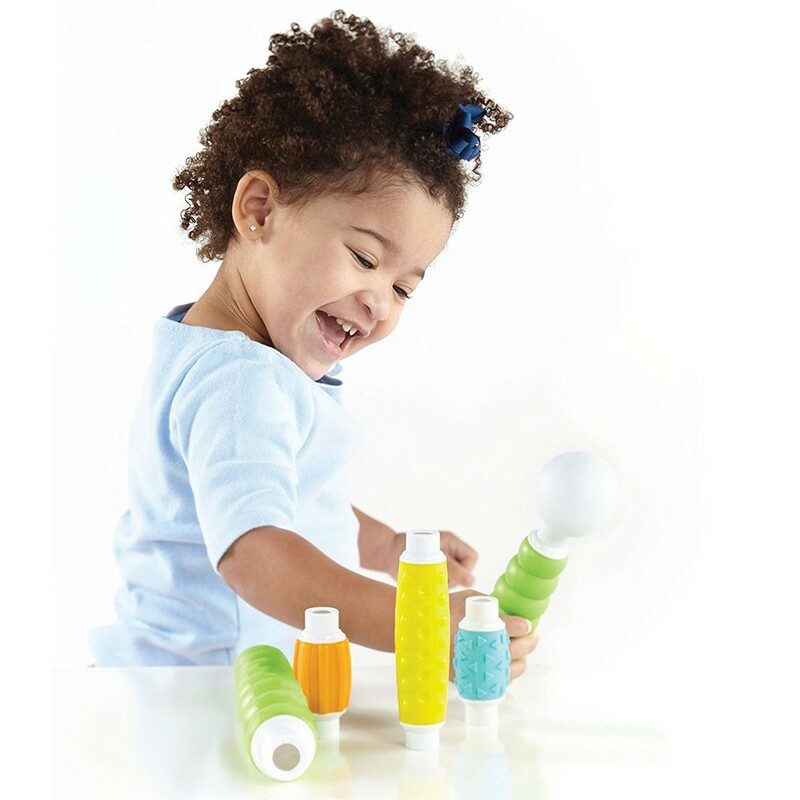 With their Grippies series the company introduces extra layer of developmental fun for the little hands. 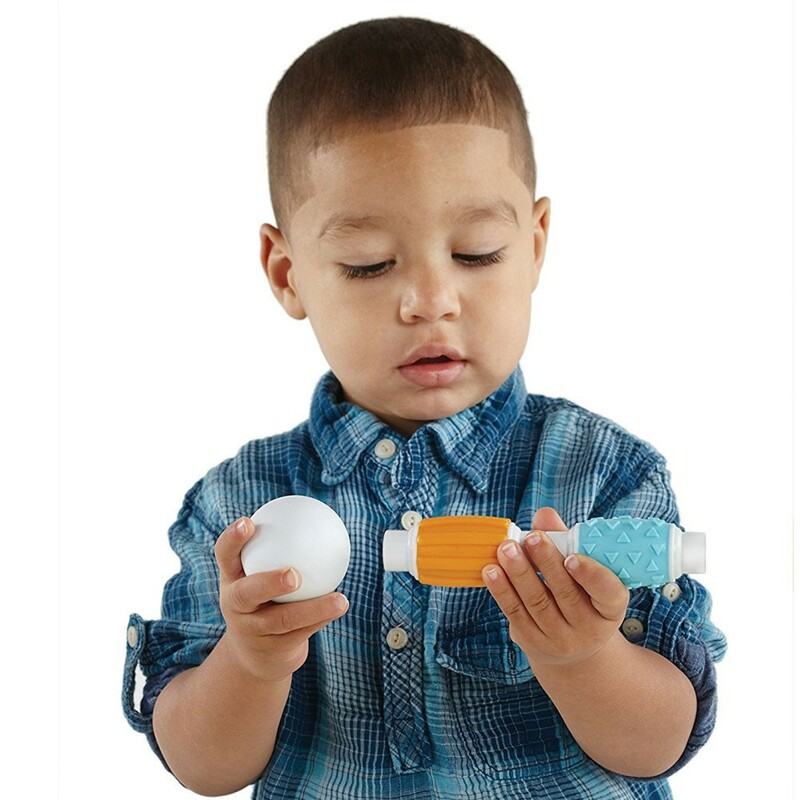 Textures! 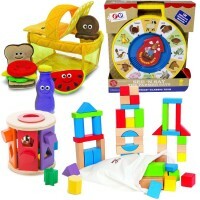 The new toddler building sets from this series combine tactile exploration with building fun. 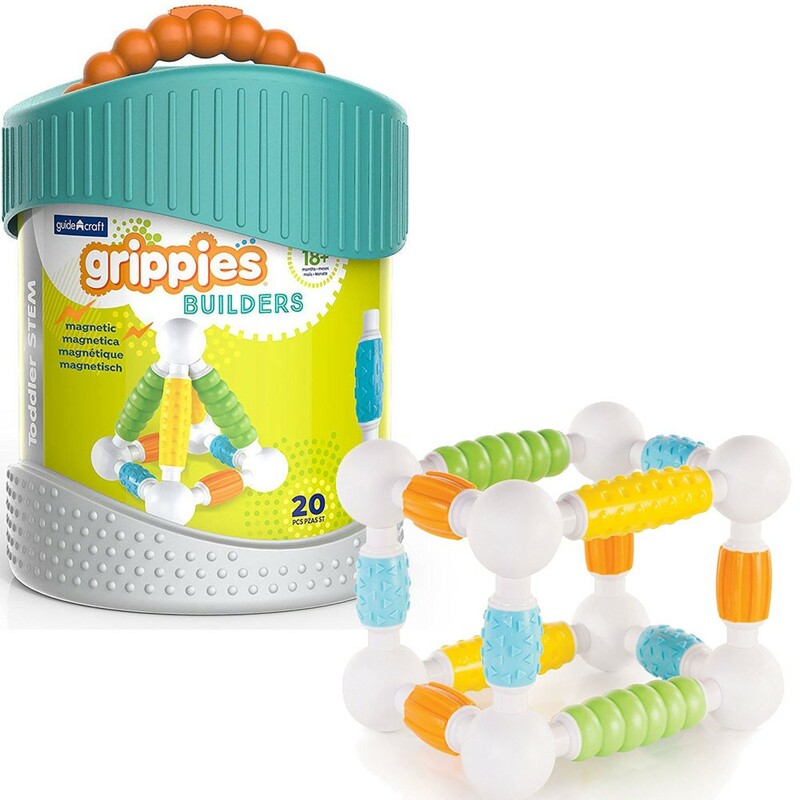 Better Builders Grippies 20 pc Sensory Magnetic Building Set comes with chunky magnetic rods and balls that can become any construction in your little builder's hands. 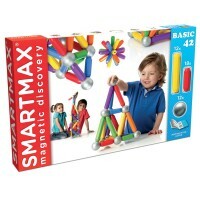 The unique magnetic rods feature color gripping surface, 4 attractive colors and 4 soft matte textures. 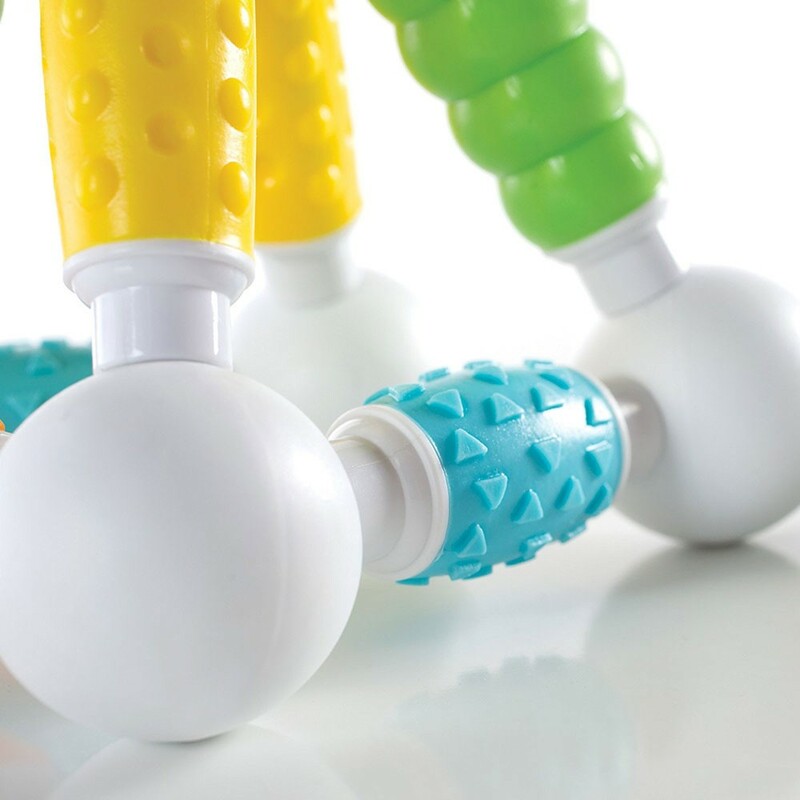 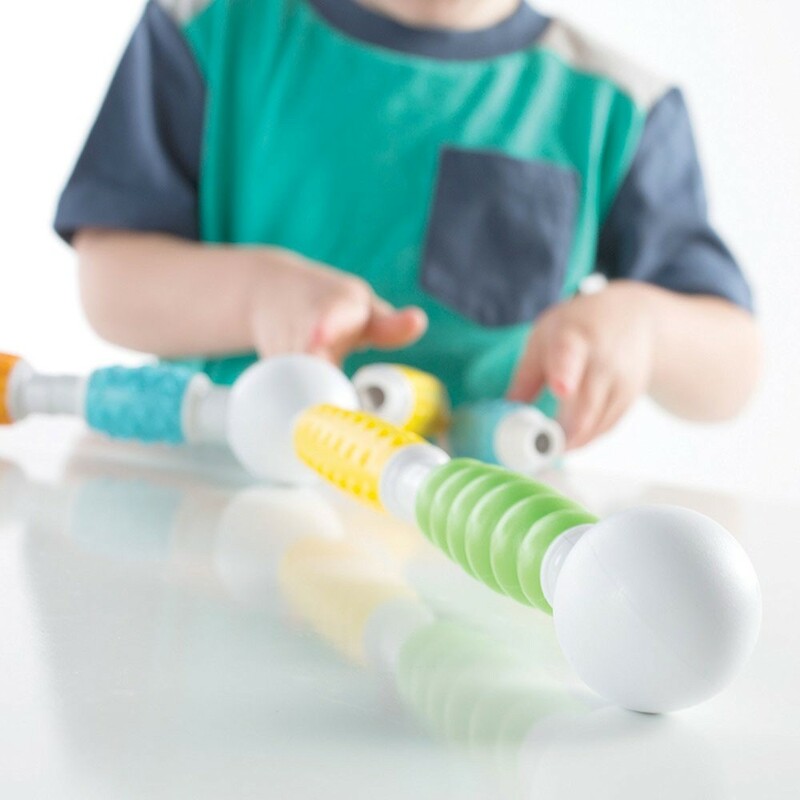 These building rods are easy to grasp, hold, stack with, and fun to touch-n-feel. 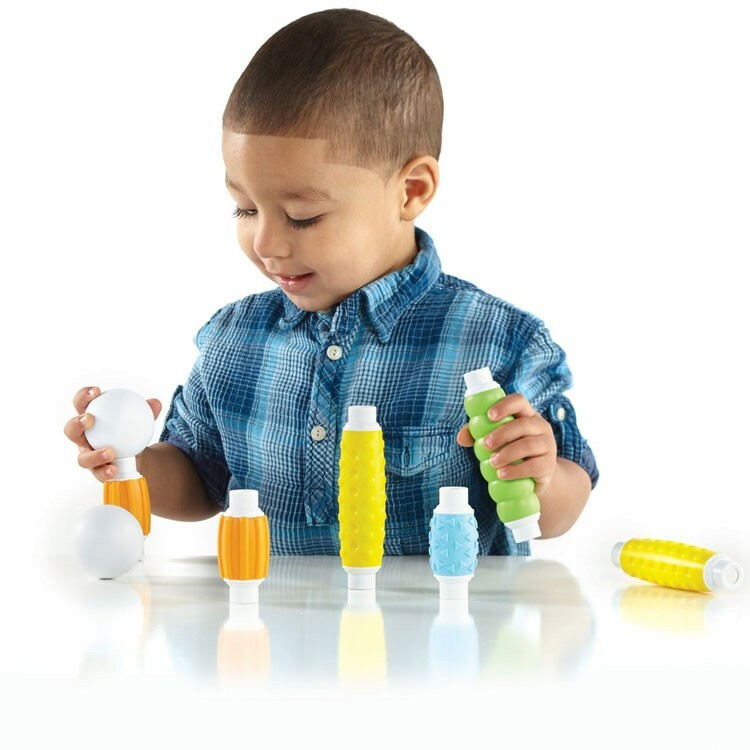 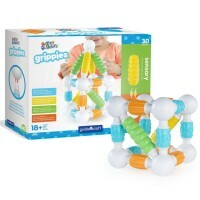 This toddler STEM building toy with its 20 jumbo pieces offers frustration-free building for the youngest children. 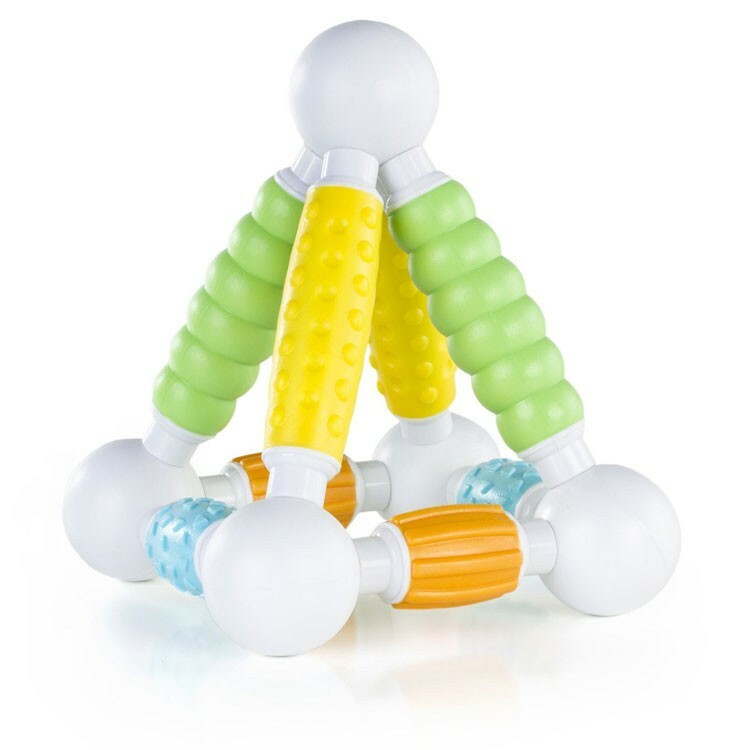 With this magnetic set tots will love to build a colorful chain, pyramid, pretend rocket, house or just any geo shape they like. 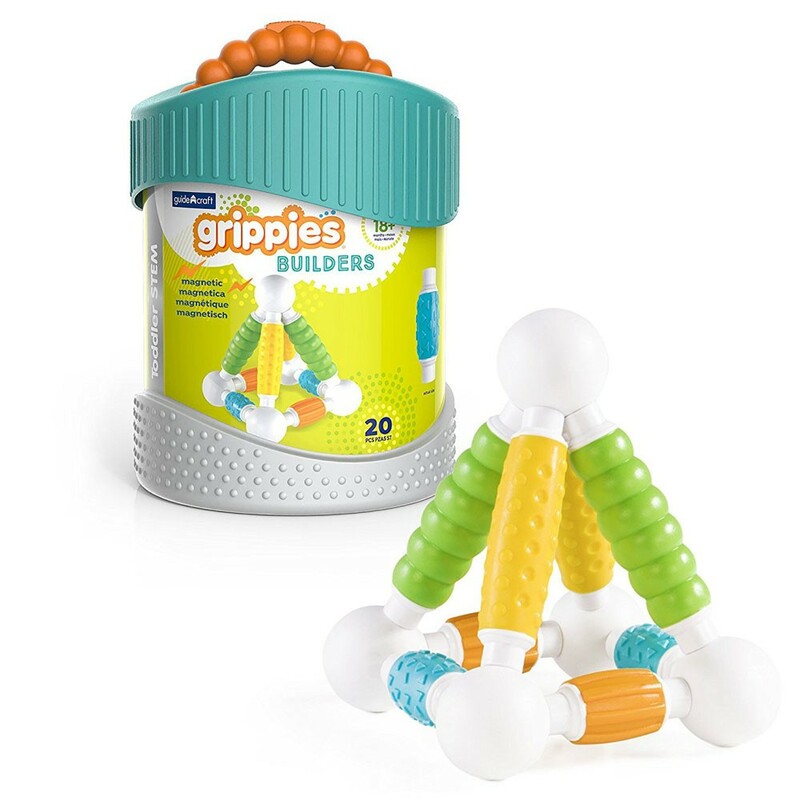 Better Builders Grippies 20 pc Sensory Magnetic Building Set from Educational Toys Planet conforms with all US toy safety standards. 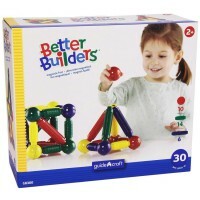 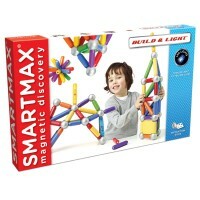 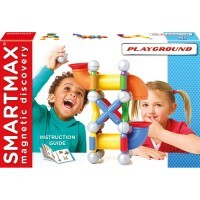 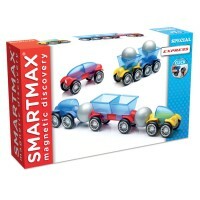 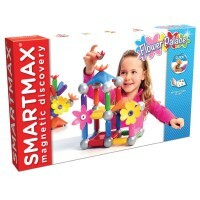 Dimensions of package 9" x 9" x 14"
Write your own review of Better Builders Grippies 20 pc Sensory Magnetic Building Set.